Kristy earned a Masters’ degree in Clinical Social Work with an emphasis in behavioral health. She is licensed to practice in the State of Wisconsin. 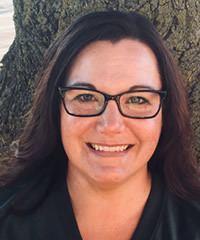 Kristy has received extensive training and is experienced in Cognitive Behavioral Therapy (CBT) and Exposure and Response/Ritual Prevention (ERP). She specializes in treating Obsessive-Compulsive Disorder (OCD), Generalized Anxiety Disorder (GAD), Depression, Perfectionism, Hoarding Disorder, Panic Disorder, Social Anxiety Disorder (Social Phobia), interpersonal difficulties, feelings of low self worth, and struggles with change and uncertainty. Kristy utilizes evidence based practice methods and enjoys staying informed in regard to the latest peer reviewed research, published literature, and practices. She also advocates strongly for and enjoys working in collaboration with her clients. She participates in various professional consultation groups and activities in the Fox Valley in order to continue to learn from other reputable, licensed professionals. Network Health Plan, WEA Trust, Partners in Behavioral Health, Trilogy, Arise, Anthem Blue Cross and Blue Shield, Humana, and HealthPartners.